This tutorial will show you how to make Giant Dice for learning or playing purposes. For more uses and games with the dice check last week’s post. 2 pieces of fabric measuring around 1metre by 80cms. 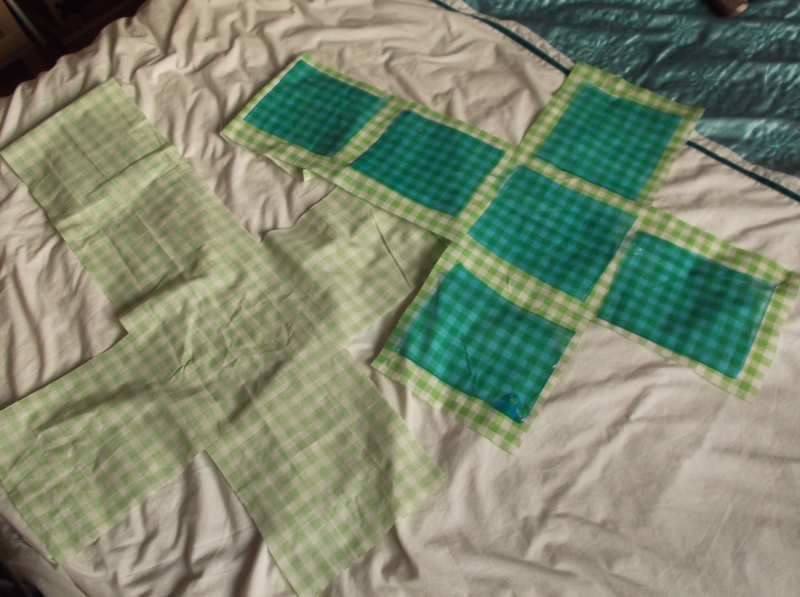 (Make sure you draw the lines of each square as you will need to guide yourself on these lines when sewing the edges so as to put together the cube shape). 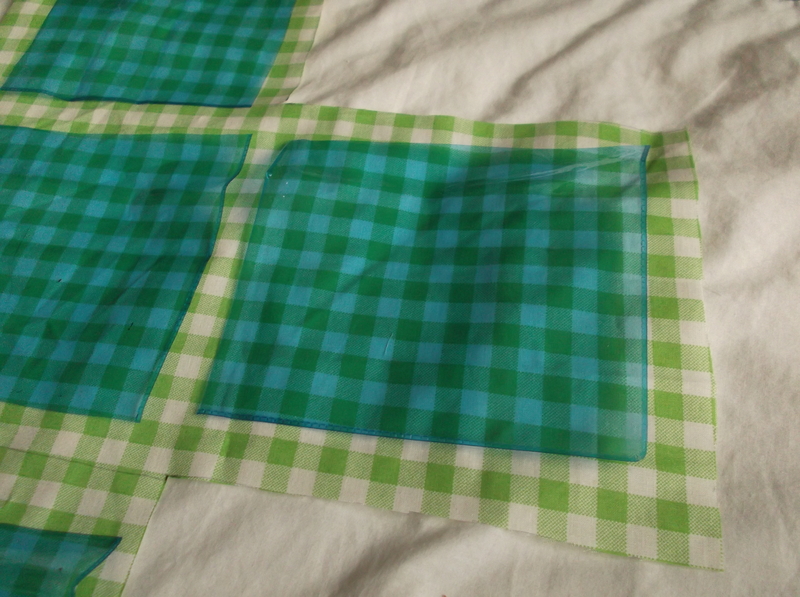 Sew each pvc square onto the centre of each square on your fabric (right side of fabric) remembering to leave one side of your pvc open (for inserting the flashcards) and repeat with second piece of fabric. I used a zig-zag stitch for this. 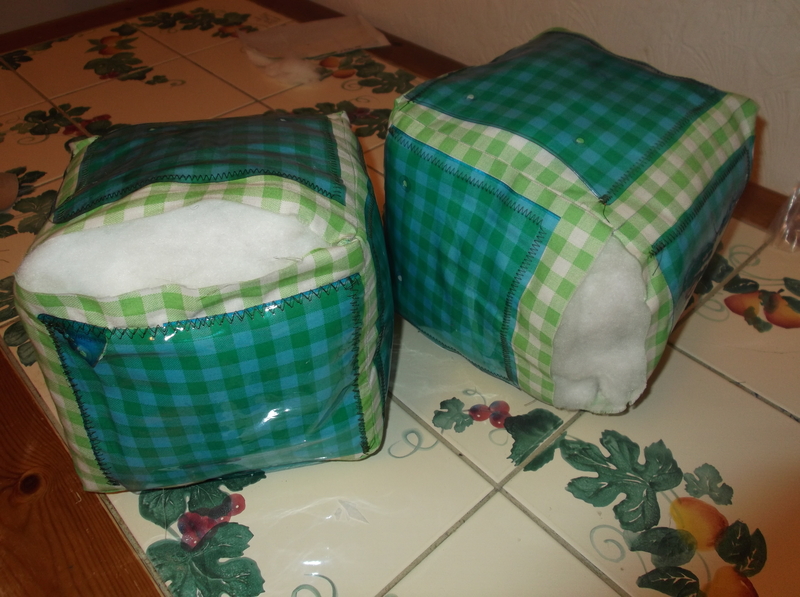 Proceed to make the cube shapes by sewing together (on the wrong side of the fabric) all the edges of the cube but the last one leaving only one 20cm edge open (for the stuffing). 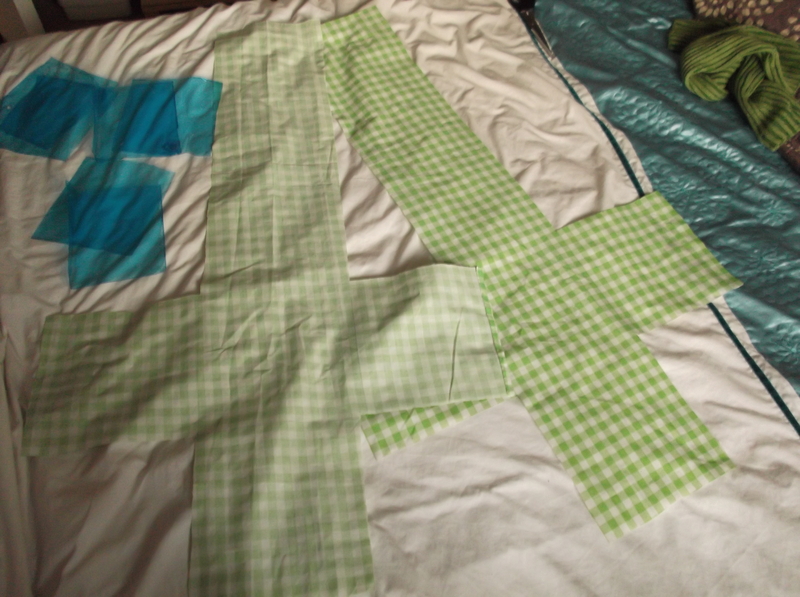 I guess it doesn’t matter where you start sewing (I’m not an expert at sewing) but I just started with the top square. I sewed it together with the square next to it and then, following the lines I had first drawn I kept sewing all around until the cube was nearly done. 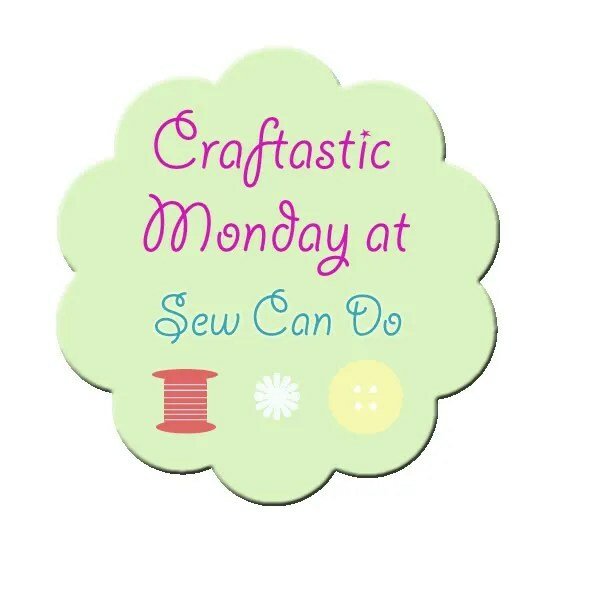 I sewed it in straight stitch as well as zigzag meaning I sewed twice over each line. 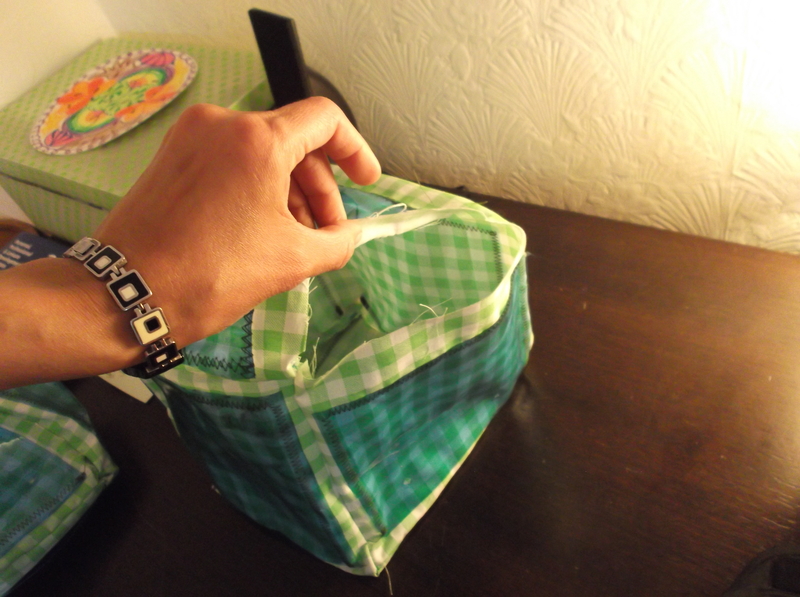 And stuff both cubes paying special attention to the corners which should be stuffed properly in order to retain shape. Once stuffed proceed to sew the last open edge. You could also do this by machine but I sewed mine by hand. 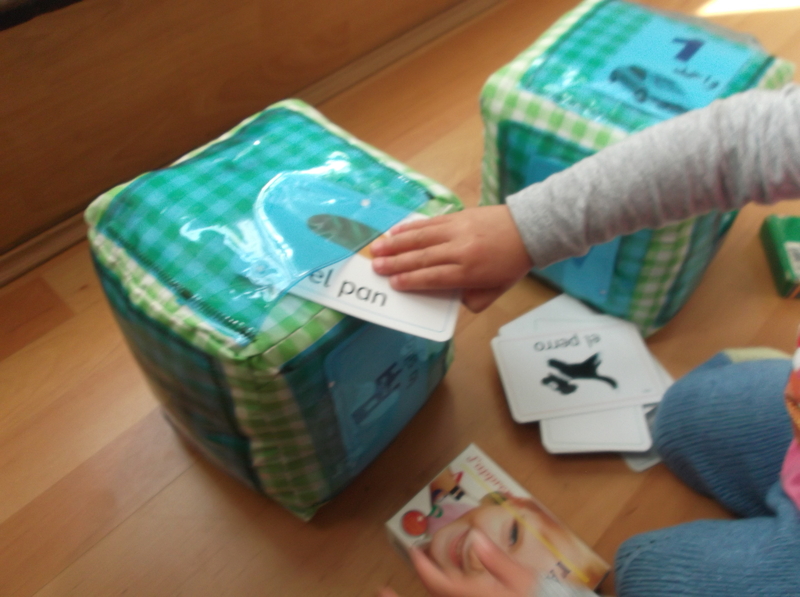 Insert your flashcards and start having fun! This entry was posted in Homemade Toys and Games Ideas, Tutorials and tagged dados gigantes, flashcards, juego dados, Learning dice by Bodymindsoulparenting. Bookmark the permalink.